The nightmare plays over and over in your mind. If only you’d held on tighter, or attempted to break the fall with your foot, you wouldn’t be looking at a glass spiderweb on your iPhone or Galaxy screen. Finally, here’s a solution thanks to the team at Loop, who created two innovative designs to make carrying your phone safe and ergonomically sound. With the Ninja Loop, affix it to your phone case and loop it through your camera opening, slide your fingers through, and enjoy flex-palm security in knowing your phone isn’t going anywhere you don’t want it to. Swap it out for the Petite Loop, and conveniently slip it over your wrist while you’re jogging or have your hands full. At $12.99 from TNW Deals, your peace of mind just got a whole lot more affordable. Choose from satin, grosgrain or twill material designs, and rest assured that you’ll never drop your phone again. 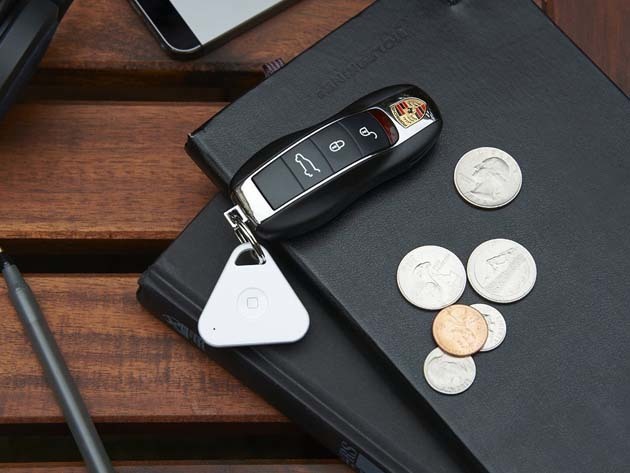 The only rechargeable item locator in the world is your instant best friend when keys or your wallet go missing. Push a button, find them instantly. Just attach the iHere 3.0 Tracking Device to the device you’re most likely to misplace. A device alarm will alert you to the location of your elusive item, with a signal reaching up to 75 feet, while an optional separation alert will inform you if you’ve left your phone behind. You can even take a selfie with the remote-control shutter! At 54 percent off, the iHere 3.0 Tracking Device (Gen 2) is just $22.99 from TNW Deals. Device droppage is nearly as inevitable as death and taxes. But you can cheat the odds with iRing, an attachment that easily adheres to the back of any phone, tablet, or MP3 player. Wear it on your finger, hang it on your dashboard or use it as a horizontal or vertical stand to prop up your phone, and enjoy the security of knowing your expensive, sleek phone or tablet won’t slip through your fingers to the screen-shattering ground ever again. Detach the STIXX adhesive without residue, and reuse it on other devices. The iRing also allows you to take photos from any angle, and holds a weight up to 15 pounds. At just $15.99, peace of mind has never been more affordable.